Calgary Coupon Momma: News & Updates for Today! It has been a hectic few weeks! 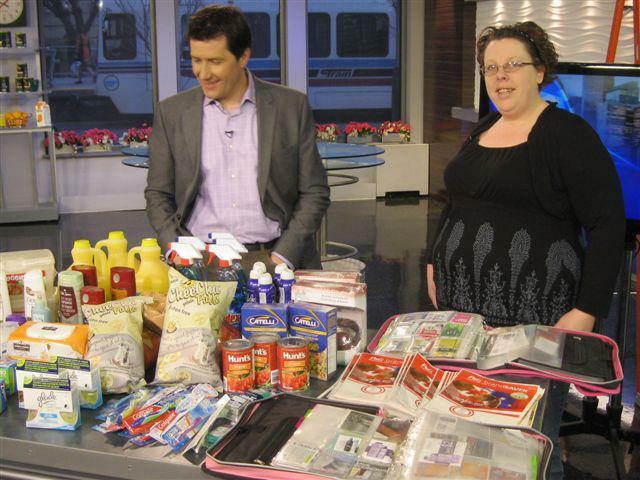 I appeared on City TV's Breakfast Television on Monday and had a blast! Thank you to everyone that took the time to watch it and thank you all for your kind words! I have created a permanent link for it on my Media/Public Relations Page. On Friday, I will on Global TV's morning show at 7:50am, then airing on CBC radio in the afternoon. Then on the weekend, you can catch me at The Calgary Woman's Show! I will be hosting 2 seminars. On Saturday, it will be from 1:30-2:15 and on Sunday it will be from 4:00-4:45. I'm sure you are all wondering...When is she going to do another giveaway??!! Right now? Sure! I have 4 pairs of tickets to this weekends Woman's Show, and I want to give them away! All you have to do to enter, is "like" the corresponding giveaway post on the Calgary Coupon Momma Facebook Page and also "share" the post. Contest closes this Friday at noon! Winners will be notified via Facebook. Winners are responsible for pick-up of tickets. Good luck! And be sure to come by and say hi!